LAS VEGAS — A host of video services on the web enable you to watch your favorite TV programs and movies anytime you wish, and Boxee is an open platform striving to weave them all into one neat interface. 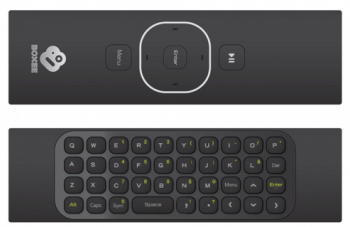 To get the Boxee experience onto a TV, D-Link has launched a set-top box dedicated to the open video platform, along with a special remote. The Boxee box is pretty simple. Video outputs through an HDMI connector. For audio, you can plug in through an optical digital audio-out jack or regular composite audio. An SD card slot and two USB ports allow you to expand storage. For internet connectivity, the box supports 802.11n Wi-Fi and ethernet. Boxee was previously a piece of open source software that you’d download to view media on your computer. Most users would download Boxee onto their notebook, which they’d then hook up to a TV. The box eliminates that need, and it’s also compatible with a new remote that just launched at the Consumer Electronics Show. The remote sports a full QWERTY keyboard for typing in search queries. On the back of it there are three buttons for hitting Enter, accessing the main Boxee menu and playing or pausing video. 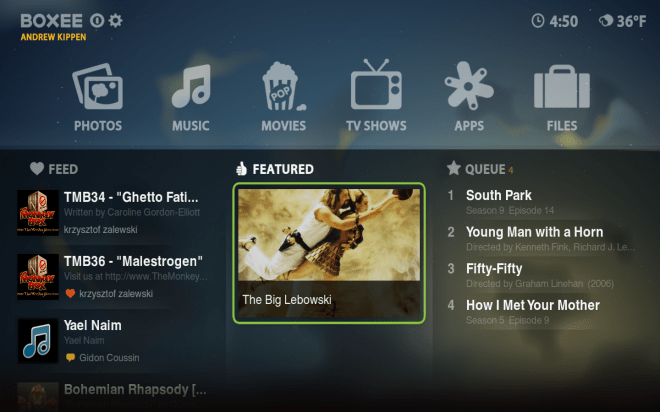 We’ve been fans of Boxee for some time: The menu is beautiful and intuitive, and it’s really zippy with loading multimedia files with thumbnails. The remote does indeed make the experience more enjoyable. It’s sturdy, smooth and comfortable, and the keys feel high quality. Boxee’s primary purpose was to streamline video entertainment, but since it’s an open platform, it can do a lot more. There’s a Boxee app store for downloading third-party apps provided by developers. The main menu has buttons to access music and photos, too. Think of the Boxee as a restriction-free Apple TV. The Boxee box and remote are shipping the second quarter of 2010. Pricing has not been announced, but Boxee estimates $200. 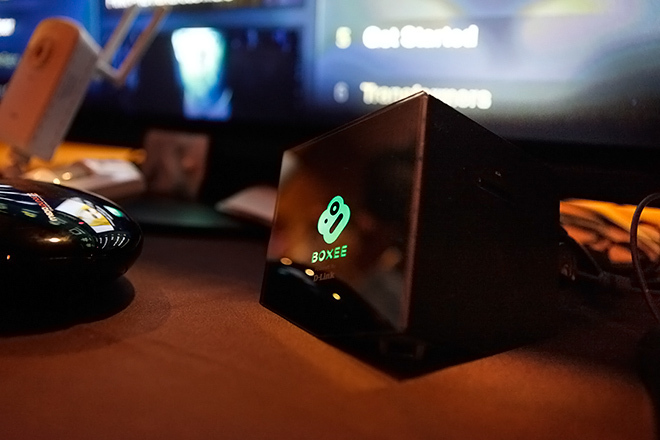 For a detailed look at the Boxee platform, see Epicenter’s coverage of the Boxee box launch.